Everything about the Sawtooth was designed to be reliable and hassle-free, from the low maintenance 4-stroke, air-cooled 200 engine to the sealed shaft drive. 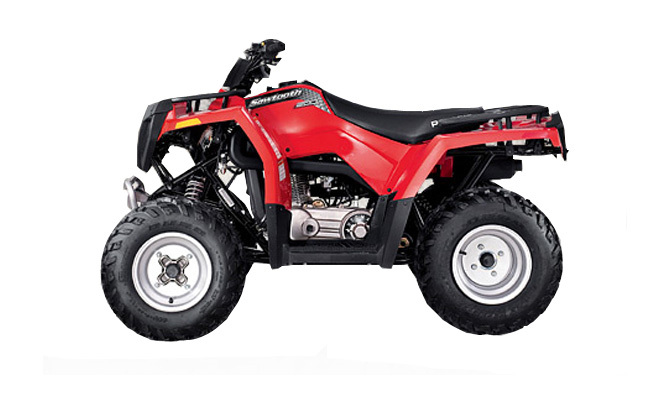 The engine has a counter-balancer and is rubber-mounted in the frame to minimize vibration and to keep the ride smooth. Engine power is managed by a Continuous Variable Transmission (CVT) and delivered to the rear drive wheels by a shaft drive. Other hassle-free features include an electric start, a backup kick start and a fully automatic transmission with Forward, Neutral and Reverse.